McDonalds Europe is holding its first Hackathon in London today, to focus on "building the restaurant experience for the millennial generation." The event, which will run over the weekend, has been designed to ‘digitalise’ the restaurant brand and come up with innovative ways to improve the customer experience. Participants are being asked to come up with an app concept that could "revolutionise" the digital restaurant experience around gamification, customer loyalty, entertainment, content distribution and consumption. It has invited developers, designers, start-ups and students who are passionate about new technology to participate and be part of "reinventing the restaurant experience." "The reason that McDonald’s is running the Hackathon is to involve our customers, experts and the wider public in our innovation processes, and specifically around digitalising the restaurant experience," said a McDonald’s spokesperson." The restaurant is the home of our brand and the physical experience we have there is key to how our customers engage with and love our brand." 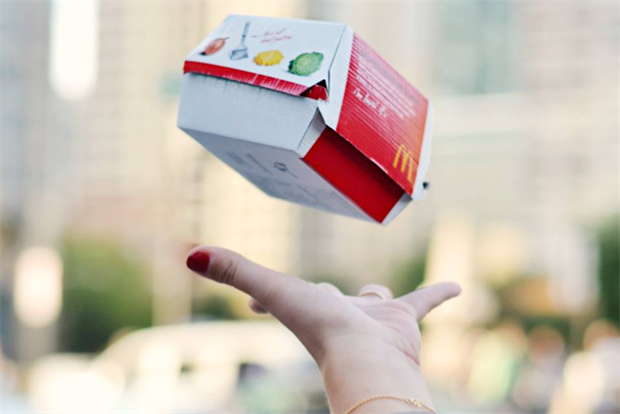 On the Hackathon site, McDonald’s challenged participants to think around ways to ease and enhance the whole restaurant experience –from "ordering, paying, waiting, eating [and] leaving." The brand is also understood to be launching a new app globally, which will have loyalty and ordering capabilities. It is understood it will launch in Australia this year and the US next year. Earlier this month, David Martinelli, the digital marketing manager told Marketing it would "get closer" to customers with a hyper-local push that will involve rolling out 14,500 Facebook pages before 2015.